[S2334] Tom Dimock, family web site titled "Dimock Genealogy", http://dimock.ca, viewed Aug 2011. [S2436] Find A Grave: Fairview Cemetery, Soda Springs, Idaho, Anna Elizabeth Lau Dimick, created by Lisa Olonrenshaw, added May 2008, memorial number26528808. [S2574] MyTrees.com - Family History, Family tree: Ancestry/Russia/Born-1815/St/Stromberger Family, www.mytrees.com/ancestry, viewed Sep 2011. 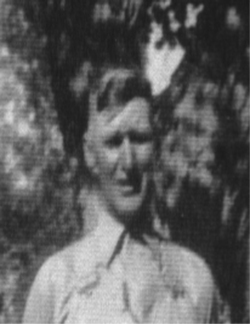 Keene produced gas chromatography instruments with his brother-in-law, Ken Wilkins, at Wilkins Instrument and Research. He also invented a stationary bicycle called the "Lifecycle". In addition, he owned a 65-acre vineyard in California's Napa Valley and the Robert Mondavi winery used its grapes to produce high quality Chardonnay wine. [S2195] Find A Grave: Unknown burian location, Keene Paul Dimick, created by E Sorenson, added Jun 2011, memorial number 71680051. [S317] Wikipedia, On-line database of general knowledge contributed by the public www.en.wikipedia.org, searched Anna Eshoo, viewed Aug 2011. [S2195] Find A Grave: Unknown burian location, Adele Doris Lausten Dimick, created by E Sorenson, added Jun 2011, memorial number 71680031. [S2503] Maharishi University of Management, University web site, http://www.mum.edu , http://www.mum.edu/pdf_yearbooks/1996-97.pdf - from their yearbook. [S816] California Death Index, 1940-1997, online index database, digitized by Ancestry.com Operations Inc, 2000 www.ancestry.com. (Original publication: State of California California Death Index, 1940-1997, State of California Department of Health Services) In 2011 his widow, Elise Lau was living in Pacifica CA, same county as San Mateo with 2 children, middle names of Arthur and harold. [S2544] California Board of Accountancy, web site of CA.gov Department of Consumer Affairs, http://www2.dca.ca.gov/pls/wllpub/WLLQRYNA$LCEV2.QueryView?P_LICENSE_NUMBER=1092&P_LTE_ID=786. [S2470] 1900 US Federal Census, Montpelier, Bear Lake County, Idaho, digital image Ancestry.com ; National Archives micropublication, Francis A Dimick head of household, roll T623_231, enumeration district 14, page 17B. [S2428] Find A Grave: Montpelier City Cemetery, Montpelier, Idaho, Donald Dimick, created by Allen Sorensen, added Sep 2011, memorial number 76505827. [S2428] Find A Grave: Montpelier City Cemetery, Montpelier, Idaho, Anita I A Gay Dimick, created by Kitty Henson, added Jun 2011, memorial number 70837129. [S2551] 1930 US Federal Census, Richfield, Lincoln County, Idaho, digital image Ancestry.com ; National Archives micropublication. [S2850] Kenneth H Dimick, Unknown newspaper , Cokeville, Wyoming, Obituary notice, newspaper article cutout, created by Carol Stevens, added Nov 2009, from obit in Idaho State Journal 10 Nov 1977 for Kenneth Henry Dimick. 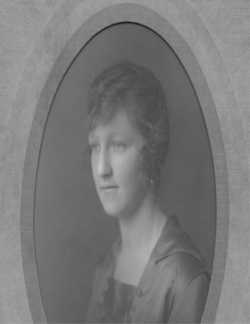 [S2385] Ken, family web site titled "Scudder Family Tree", KFTO (Ken's Family Tree Organizer), http://www.wuelzer.com/familytree/scudder/StartPage.html, updated Jun2011, viewed Sep 2011. [S2551] 1930 US Federal Census, Richfield, Lincoln County, Idaho, digital image Ancestry.com ; National Archives micropublication, Leo P Sorensen head of household, roll 402, enumeration district 5, page 1B. [S2562] AMHhenley, "Bear Lake - Family History & Genealogy Message Board", listserve message to RootsWeb, http://boards.rootsweb.com, obituary notice from The Idaho Statesman 22 Jul 2008 for Wayne Dimick Sorensen. [S2564] Find A Grave: Shoshone Cemetery, shoshone, Idaho, Kristine Sorensen Alger, created by Allen Sorensen, added Jul 2008, memorial number 28299106. 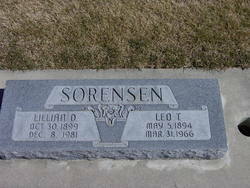 [S2564] Find A Grave: Shoshone Cemetery, shoshone, Idaho, Leo Tippetts Sorensen, created by Allen Sorensen, added Jul 2008, memorial number 28295484. [S2425] Find A Grave: Paris Cemetery, Paris, Idaho, Elaine Dimick Passey, created by Wes & Debi Grossnickle and Allen Sorensen, added Jul 2011, memorial number 73548068. [S2850] Kenneth H Dimick, Unknown newspaper , Cokeville, Wyoming, Obituary notice, newspaper article cutout. 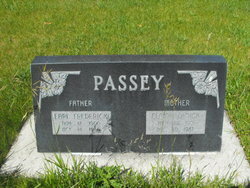 [S2425] Find A Grave: Paris Cemetery, Paris, Idaho, Earl Frederick Passey, created by Wes & Debi Grossnickle and Allen Sorensen, added Jul 2011, memorial number 73547983.